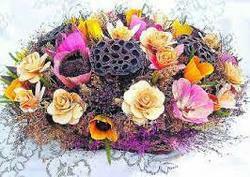 We offer a wide range of Dried Flower Bouquet. Our Dried Flower Bouquet are graciously arranged by our artistic workers. Exhibiting eye pleasing color combination, our bouquet hold a variety of flowers and exotic plants. These are widely in demand for the embellishment of abodes, offices, shopping malls and other . Offering a splendid way to express heart sentiments, these dried flower bouquets are graciously arranged by our artistic workers. Exhibiting eye pleasing color combination, these bouquets hold a variety of flowers, which possess the look of real fresh flowers. 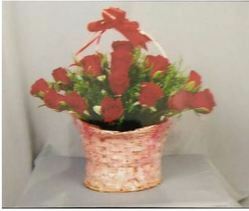 Our dried flower bouquets are widely demanded for the embellishment of abodes, offices, shopping malls and other areas. We offer a series of bouquets in various sizes and concepts for all occasions. Designed as per customers requirements, we extend beautifully designed natural dry flower bouquets at economical prices.